ABQ Breaking Bad pop up is back in London, book now!Going veggie this January? Try The Gate Seymour Place in MaryleboneHave you visited the Lego Store in Leicester Square yet? 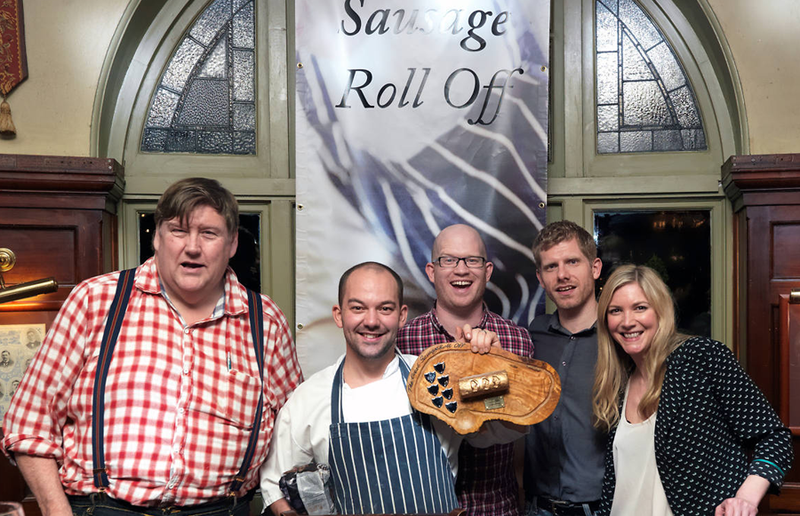 The Red Lion in Barnes is returning for the fifth annual Great Sausage Roll Off. On the 25th January the value will be welcoming chefs to prepare their ultimate version of the sausage roll, witness them battle it out for the title and that glorious gold sausage roll trophy. Last years winner was Phil Harrison, chef at the Anglesea Arms. Phil defeated 18 other shortlisted chefs (including previous years’ winners) with his pheasant and black pudding sausage roll, accompanied by turnip dip. He impressed judges which included Emma Spitzer [Masterchef 2015 Finalist], Thane Prince [Eat Judge on The Big Allotment Challenge], Tom Kemble [Head Chef, Bonhams Restaurant] and Kate Spicer [food critic]. The 2017 line up includes Mark Poynton, Chef Patron at Restaurant Alimentum, and Dan Docherty, Chef Director at Duck and Waffle. If you’re into eating more than the baking just turn up on the night – the crowd get to enjoy any leftovers! ABQ Breaking Bad pop up is back in London, book now!